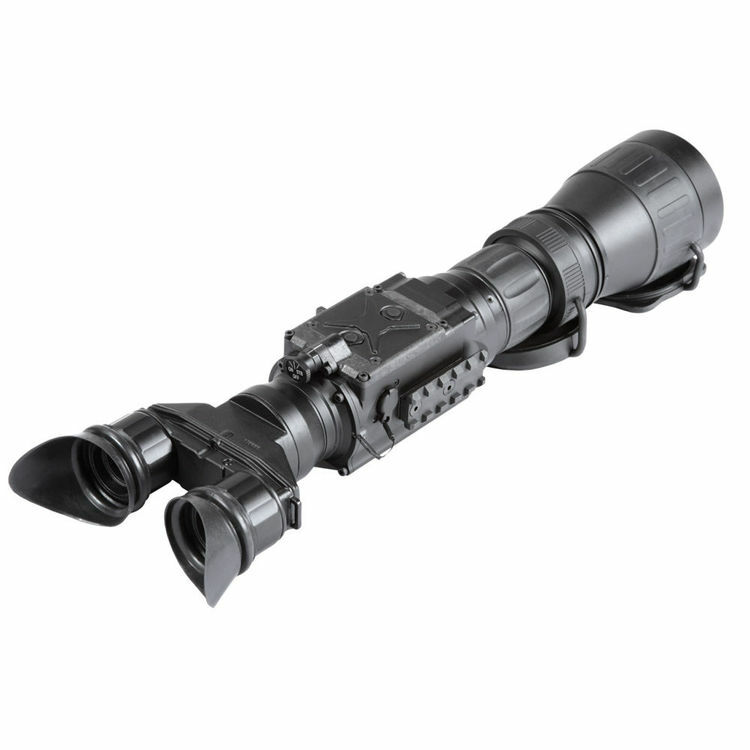 The 5x-10x Janus Digital Night Vision Bi-Ocular from Armasight employs a single objective lens with a dual eyepiece configuration for comfortable use over a long period of time. 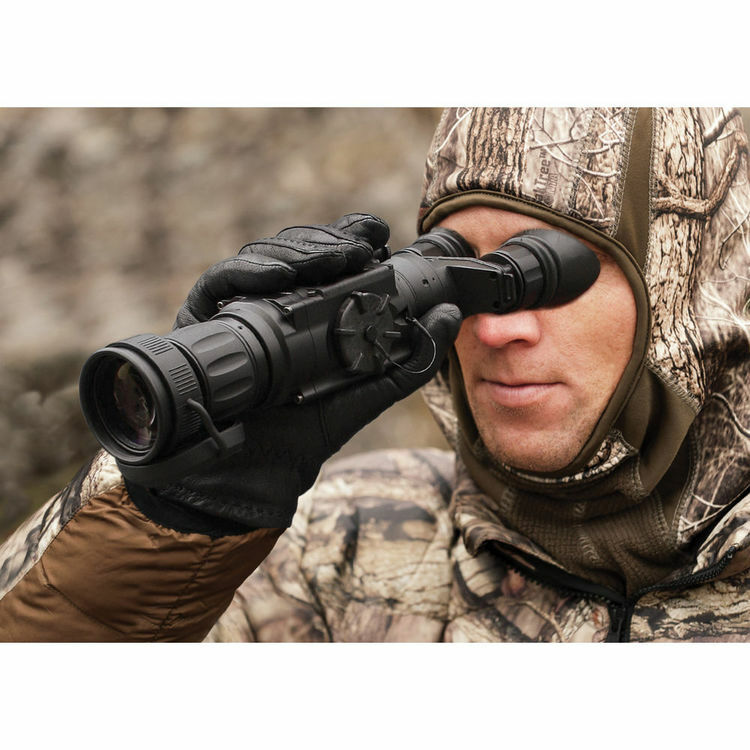 The single objective reduces overall weight, while the dual oculars reduce the fatigue associated with a one-eye monocular. It uses a high resolution, near-IR hypersensitive CCD imaging sensor and a 800x600 Active-Matrix Organic LED (AMOLED) display to produce images. 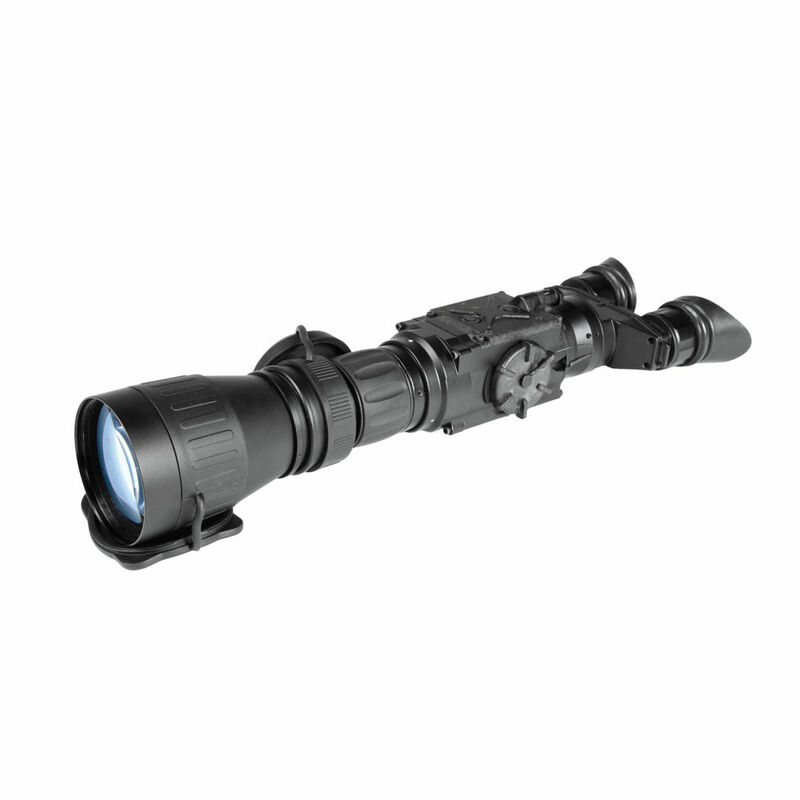 Over-load protection circuitry and a light-restricting objective lens cover enable its use during the day and at night. It comes with a 50mm objective lens and produces 5x magnification. Attach its 90mm doubler lens to bring in more light and increase the magnification to 10x. Its armored aluminum body is waterproof to 32' for up to 10 minutes, and is nitrogen-filled for fogproof performance. On the right side of the body is a Picatinny rail for accessories such as the wireless remote. 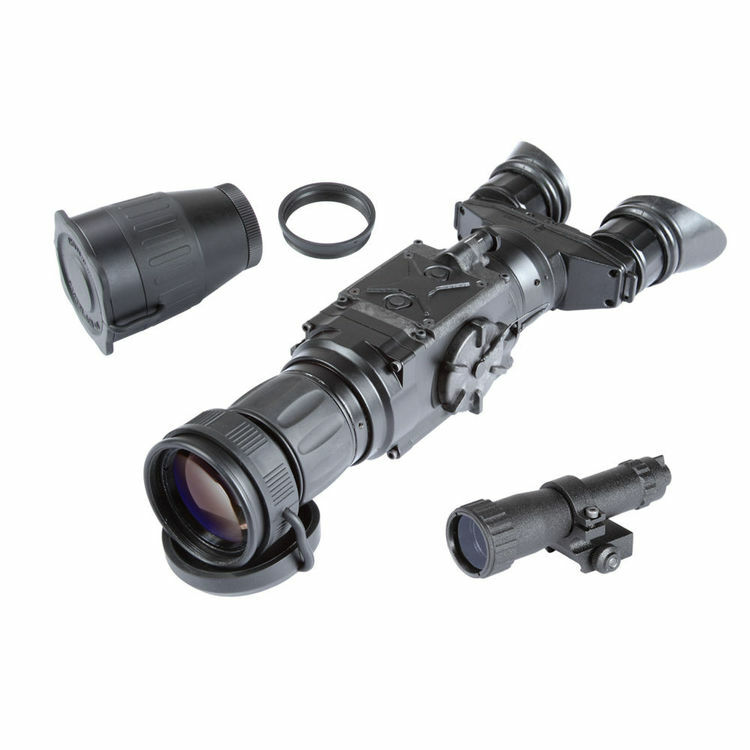 A detachable platform ring provides another Picatinny rail for additional equipment like the included IR illuminator. Mount the Janus to a tripod using the 1/4"-20 adapter on the bottom. Box Dimensions (LxWxH) 12.0 x 7.0 x 7.0"